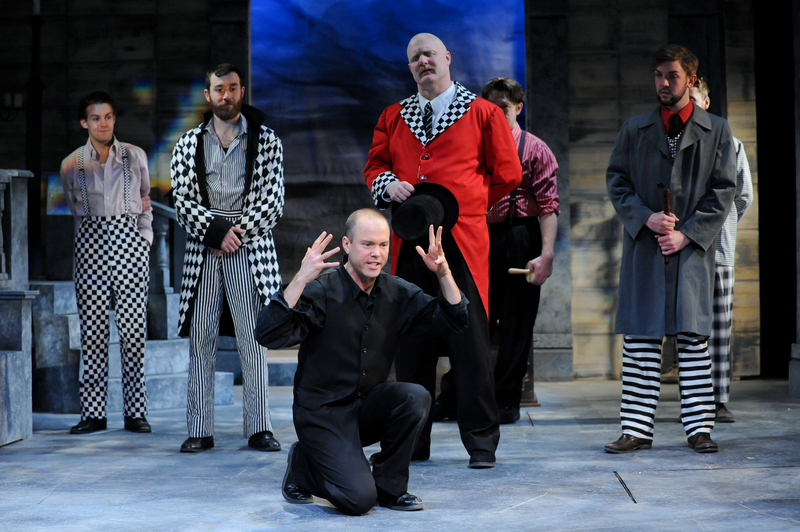 Panelists for the League of Cincinnati Theatres (LCT) have recognized the Cincinnati Shakespeare Company’s production of Hamlet with a 4 Star Rating. Panelists recommended Hamlet, one of Shakespeare’s more enduring tragedies, as “timely and prescient”, featuring many strong performances. “I always appreciate how CSC makes the language of Shakespeare accessible and understandable,” one panelist commented. Hamlet continues through February 8th. Tickets can be purchased at http://www.cincyshakes.com. League of Cincinnati Theatre panelists evaluate productions on a 5 star scale and recommend shows at either a 4 star or 5 star level. Nominations for LCT awards will be determined and announced at the end of the season and winners awarded at the annual LCT gala in the spring. The League of Cincinnati Theatres was founded in 1999 to strengthen, nurture and promote Cincinnati’s theatre community. LCT provides its member companies and individual members with education, resources and services to enhance the quality and exposure of the theatre community in Cincinnati and increase community awareness, attendance and involvement. More information about the League can be found at leagueofcincytheatres.info.